Protestant theologian; born in Strasburg July 18, 1804; died there April 15, 1891. He studied Oriental languages with Gesenius at Halle, and with Silvestre de Sacy at Paris; and became professor at his native city in 1834. 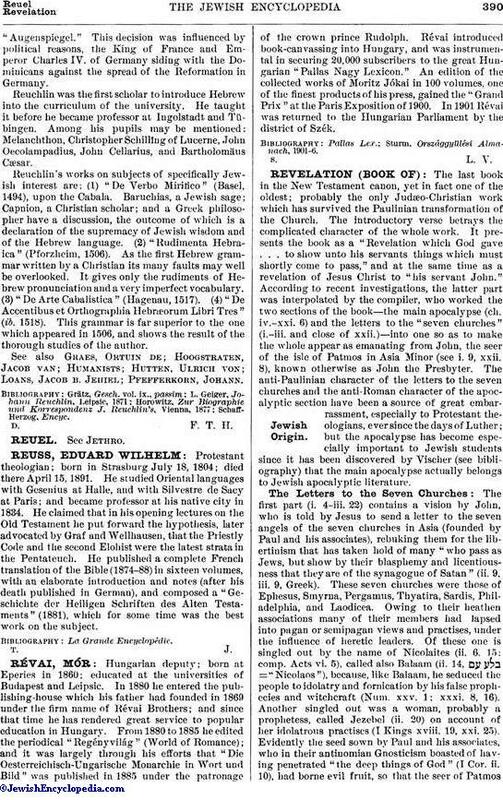 He claimed that in his opening lectures on the Old Testament he put forward the hypothesis, later advocated by Graf and Wellhausen, that the Priestly Code and the second Elohist were the latest strata in the Pentateuch. He published a complete French translation of the Bible (1874-88) in sixteen volumes, with an elaborate introduction and notes (after his death published in German), and composed a "Geschichte der Heiligen Schriften des Alten Testaments" (1881), which for some time was the best work on the subject.